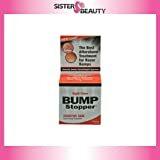 For bumps and ingrown hairs caused by shaving with razors, electric shavers and depilatories. Use 2-3 times a day after shaving and before bed — 30 day supply. Guaranteed to give positive results in 3-5 days. Clinically tested, dermatologist approved. Ideal for travellers – whether for business or pleasure. 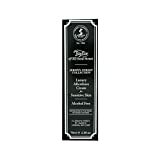 Taylors Jermyn Street Aftershave Balm For Sensitive Skin (75 ml): Taylor of Old Bond Street Jermyn Street aftershave balm has been specially formulated for those with sensitive skin and those who are susceptable to shaving rash or razor burn. Free of alcohol, parabens and allergens, Jermyn Street aftershave balm can be applied directly to skin after shaving and will refresh, calm and soothe the skin. The Jermyn Street scent is a fresh modern fougere fragrance which is suitable for men of all ages and for all occasions.